Order in the next 3 hours, 8 minutes an 18 seconds for same day shipping. This popular self-inking stamp is ideal for short customised texts up to 3 lines, making it the perfect size for a healthcare stamp. Simply click 'design your own' where you will be able to enter your name and your NMC or GMC number. The Doctor / Nurse stamp is climate-neutral with maximum possible use of recycled plastic and compensation of unavoidable CO2 footprint by investment in climate protection projects. Suitable replacement pads 6/4911 are available in black, blue, red, green or violet. 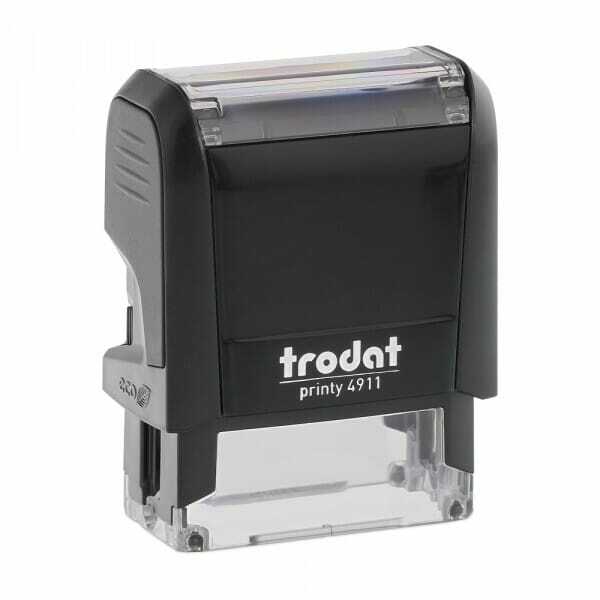 Customer evaluation for "Doctor & Nurse Printy Stamp 4911 38 x 14 mm - 3 lines"